"When leaders perform better, everyone performs better." Home-grown and build from scratch, this program is bringing about significant improvements in leadership behavior that are leading to successful outcomes. In this exciting and informative program, Matt Vaughn and Angie Kutlik (Chapter President Emeritus), two of the program's architects, will share with us not only how they developed a program that aligned with business need, gained stakeholder buy-in, but will also share the lessons learned! Learn how an integrated and blended learning approach can be utilized in a “high touch” leadership development program. Discuss the competencies leaders need in order toachieve business goals. Identify simple tools to measure improvement. Learn the key considerations before you Build OR Buy. Draft a roadmap for your own leadership development program. 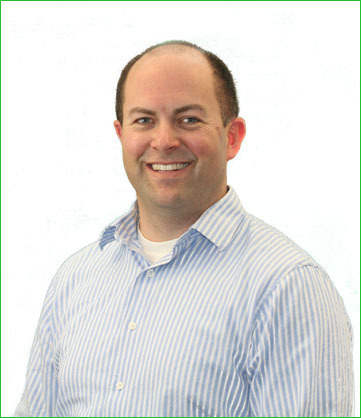 Matt Vaughn, CPT, is the manager of Kaiser Permanente National HR Service Center Learning Services team with responsibility for developing and implementing training programs that support the business unit’s talent development and operational training needs. In collaboration with HR business partners, Matt is also a strategic thought partner in talent development efforts, including high potential identification and succession planning. Matt holds MAs in Education and Instructional Technology, has experience in instructional design and project management, and over 18 years of experience in developing people in academic and business environments. Angie Kutlik, SPHR, is a Senior Learning Consultant with Kaiser Permanente who is primarily responsible for the leadership development program at the National HR Service Center, as well as supporting other training program design and delivery efforts. She came to Kaiser from the consulting world, where delivered assessment and provided feedback and coaching to leaders in Fortune 500 companies. She has also been actively involved with ASTD, serving as President of the board of directors of the Mt Diablo Chapter. Her motivation and inspiration come from a strong desire to create sustained behavior change in individual contributors, managers and leaders. She holds a BA in Speech Pathology/Audiology and a Master’s Degree in Counseling, with additional graduate coursework in training and performance improvement.